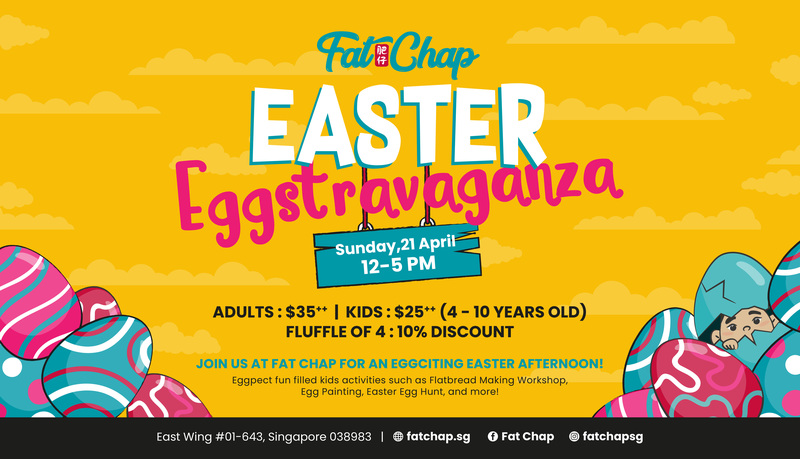 Visit Fat Chap for an Eggciting Easter afternoon! Eggpect lots of fun-filled kids activities and free flow Easter themed buffet of Asian delights and sweet treats! Fat Chap is located at East Wing #01-643.